Requests shall be in writing using the Borough form provided above or the Pennsylvania form and submitted to the Open Records Officer. Requests shall identify or describe the records sought with sufficient specificity to enable Borough of Narberth to ascertain which records are being requested. Requests may be submitted in person, by e-mail, facsimile, or U.S. mail. 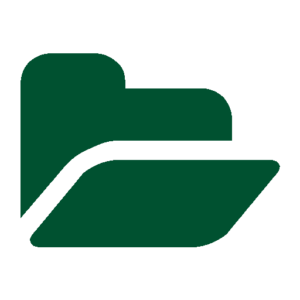 Fees associated with the processing of requests are set by the Pennsylvania Office of Open Records. All fees must be paid before access to the records is granted. The Borough of Narberth charges a fee of 25¢ per single page for copying. If one of these enumerated circumstance applies, the Open Records Officer will send written notice to the requester within five (5) business days of receipt of the request indicating that (a) the request is being reviewed; and (b) the reason for the review. A response shall be given within thirty (30) days from the date of mailing of the notice. In the event that the Borough of Narberth fails to timely respond, the request shall be deemed denied unless the requester agrees in writing to an extension. The specific reasons for the denial, including a citation of supporting legal authority. The typed or printed name, title, business address, business telephone number and signature of the open-records officer on whose authority the denial is issued. The procedure to appeal the denial of access. If a written request is denied or deemed denied, the requester may file an appeal with the Pennsylvania Office of Open Records within fifteen (15) business days of the mailing date of the Borough of Narberth’s denial or deemed denial. The appeal shall state the grounds upon which the requester asserts that the record is a public record or financial record and shall address any grounds stated by the agency for delaying or denying the request.